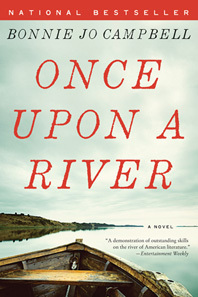 In Once Upon a River, 16 year old Margo Crane is abandoned by her mother, witness to her father's murder and a victim of a terrible act by a family member she thought she could trust. When everything she's ever known falls apart Margo takes to the Stark River in a boat left to her by her grandfather. The river is her paradise and also her biggest foe.